Travel to Giverny with paintbrush in hand! Early Bird Registration Opens in June! You'll receive 7 full-length oil painting lessons to download and keep, studio tips, images, and a video tour. Bring your brush and your creative spirit for a journey with Nancy to Giverny. With over 1500 online students, Nancy teaches to all levels, whether you're just starting or you've been painting for some time. She shares a loose, bright approach to florals and landscapes. 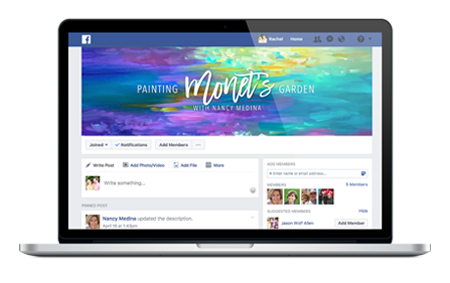 You'll have your own private group on Facebook where you can share your excitement, your paintings, and feel the genuine care and encouragement of your flower family members. Nancy is known for her hands-on, personal approach with her students, and is always available for encouragement and feedback. She'll be with you for each step of your journey! 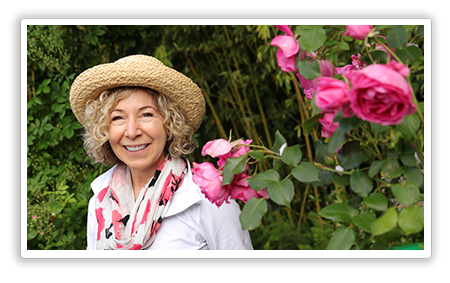 Prepare to explore Monet's Garden with Nancy and the charming village of Giverny. This online class is a feast for the eyes, tracing the steps of the master impressionist, Monet. With a dedicated Web site for your class, all of your content is housed on a secure web site - not just a social media platform - with a top notch support desk team standing by if you need help. Prepare to be dazzled by the colors and serenity of this little piece of Heaven on Earth. This summer, you’re invited to explore the magical light and endless color of the gardens in my new online class, Painting Monet’s Garden. Have you ever wondered what flowers Monet loved best? Is one of your fondest dreams to wander down flower-strewn paths framed by dahlias, irises and tulips? In Painting Monet’s Garden, we’ll create some of the most beautiful visions from the home of the impressionist master. 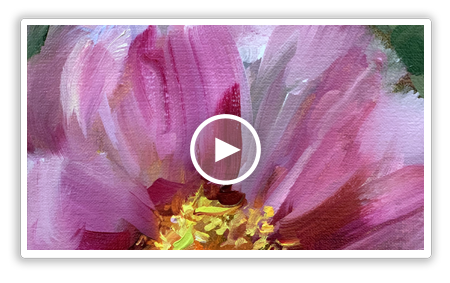 Catch the light sparkling on waters framed by violet wisteria and covered in blossoming lilies, with images that bring joy to the canvas, and inspire your palette for years to come. Join me for a beautiful meander beneath rose trellises near fragrant lilies. You deserve a summer escape to a new studio, Monet’s Garden. There is no place more beautiful in the rain or the sunlight! 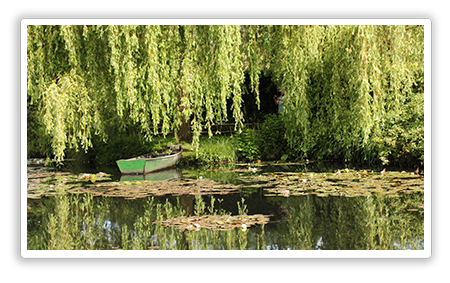 Experience the peace and serenity of Giverny! I’m a gal who quit the corporate life, took the leap, and found her color wings! I left behind a job as the director of a national magazine to become a full-time artist and art teacher. One morning I had an epiphany – Life is too short not to follow your bliss! Since then, I’ve worked with Disney, been invited to paint on national TV, and designed a new outdoor studio. 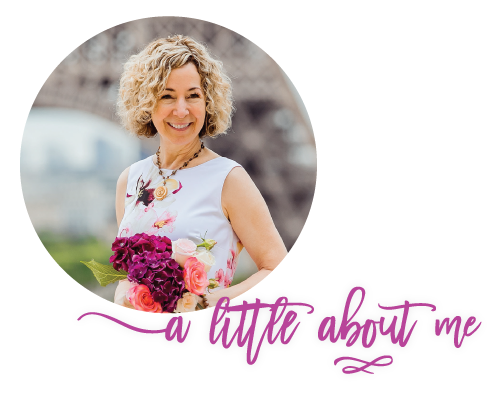 Today life is very busy in my little studio in Flower Mound, Texas, where I have the able assistance of my pugs and hubby (he loves to cook, we love to eat, it’s Kismet!). I teach in France, Italy, and across the US, and am a master signature artist and instructor for the Dallas Arboretum in oils and acrylics. I’ve been painting every day for eight years, so I’m officially at the point where intervention or medication could be required, but no one has taken my brushes yet! Most importantly, I wake up each and every day excited. I’m an artist and a teacher. Everything I paint, all that I know, I share with my students. My joy is in helping you be the best artist you can be. Navigating this journey of color and discovery is not just a job description, it is a dream come true. What a joy and an honor it is, to share it with you! Do you have enough time? You have an entire year to experience Painting Monet’s Garden. 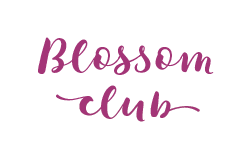 If you’re also a member of the monthly Joyful Brush online class, your access to your lessons remains available for as long as your membership in Joyful is active! I encourage you to watch the videos first, and then dive into the materials with paint brushes loaded! All of the lessons and experiences are arranged in a way that guide you through the beauty, the color, and the creative energy of the gardens. New to painting? All of my classes are designed step by step, sharing each tool, how I use the tools, and detailed information on each color and color mix I use. My classes are designed for beginning painters on up, with an emphasis on loosening up and learning to take joy in the painting process itself. Been painting for years? If you’ve been longing to approach your paintings with a brighter palette and more expressive style, this is the class for you. We begin every painting with a loose, abstracted underpainting in clean transparent color, and then build detail in the final steps of the painting, giving you permission to break the bonds of super realism and give your creative muse permission to fly! We arrived the moment the gates were opened. The morning was perfect, with light streaking across the flowers, casting the bridge in a perfect reflection on the water. I like to dream he is still there, teaching us to re-imagine, rather than dictate, life onto the canvas. How will the course be structured? 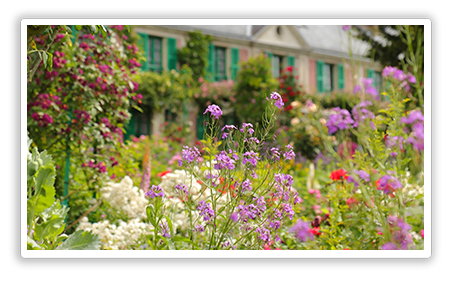 You’ll get full-length painting lessons, weekly tips, and inspiring images from the gardens and the village of Giverny. You can share your experiences, encourage fellow students, and find inspiration from new painting friends in your private Facebook group during this exciting journey workshop. I’m an acrylic painter just learning oils, is this for me? In Flower Mound Studio, Nancy works in acrylics and oils regularly. While the full-length painting lessons each week are in oils, Nancy provides guidance for acrylic painters on screen, during the painting lesson, in downloadable conversion charts and also in your Facebook page chats. Almost every color she uses in oils is also available in Golden acrylics. In the full-length lessons, she provides palettes and supply details for acrylic painters, with acrylic color recipes to match the oil colors we will use in our videos, and the best approach to creating that loose, beautifully blendy oil technique with your awesomely fabulous acrylic paints. Here’s the supply list for those who wish to paint in acrylics. What will we be painting? 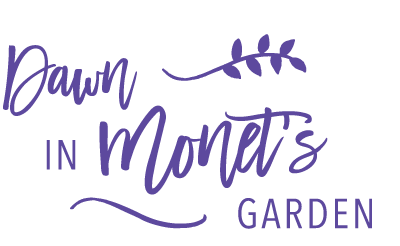 We’ll be painting from flowers and landscapes conceived and inspired by Monet’s Garden. You’ll get to paint and experience your lessons from the comfort of your own studio. Included will be water gardens, tulips, garden paths, a young girl carrying a basket of flowers, the famous green boat and more. The rest I’m saving as a surprise for you, so you have a fun, colorful gift to unwrap and anticipate each week. You will be painting flowers and landscapes in brilliant color! I use the same basic palette for everything I create, whether it’s flowers, landscapes, or gelato, so you’ll find that the combinations become comfortable and familiar with each new painting lesson. Do I need high-speed internet Yes – it will help alleviate frustration. 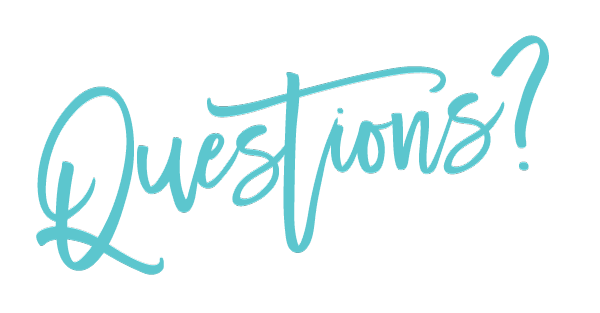 I have the best support team among e-course instruction in oils, so you’ll always have prompt responses to help you every step of the way. What supplies will I need? A link to my supply list for oil painters is provided here. If you paint in acrylics, here is your supply list. I’m not fussy about the type of surface I paint on – I use stretched cotton canvas, linen panels, or ampersand gessoboards depending on what mood I’m in that day! The brush I use costs about $2, so keep four or five of these next to your palette. I do recommend saving your pennies on your surfaces and brushes and choosing professional quality paints. Are the lessons the same subjects as past videos, live workshops and e-courses? 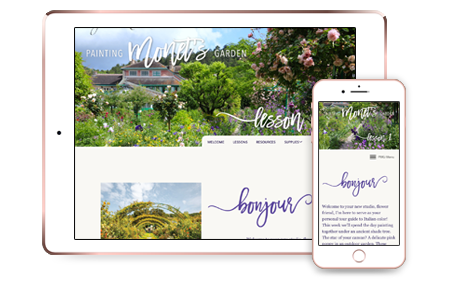 All the content in Painting Monet’s Garden is fresh and brand new, never before taught online. All the lessons are based on the region. Each lesson was created especially and uniquely for you with love and care by a team of professional videographers, photographers, smart computer-type people, and one super-busy artist who had a lot of cappuccino on hand. Can I share? Please be mindful that is a private membership for those who have registered and paid. Please do not share or teach the content, videos, links, worksheets, photographs, slideshows, and materials. This is not fair play and I know you will respect that. You can, however, share snippets of your work and excitement on your blog and other social network sites as long as you credit the teacher! Can I sell and exhibit the work I create in this workshop? One of my intentions in this course is to help you develop your powerful and personal connection with painting from life. Your own style will show if you work from your own flower setups and photos. I’m happy for you to show and sell your own original, innovative work created. However, if your work is more closely similar to the original paintings in my copyrighted lesson videos, I would ask that you don’t put those pieces out to exhibit or sell if they are close copies of my work. I trust that your heart will tell you what is too close.